It's About TV: Shirley Temple Black, R.I.P. The former child star, now all of 30 years old, is the host and occasional star of Shirley Temple's Storybook, airing on NBC. She'd retired twice from acting, most recently at 21, having made 33 movies and more than $3,000,000. Since then she's been Mrs. Charles Alden Black, married with three children, but she's never really been that far from the public eye. 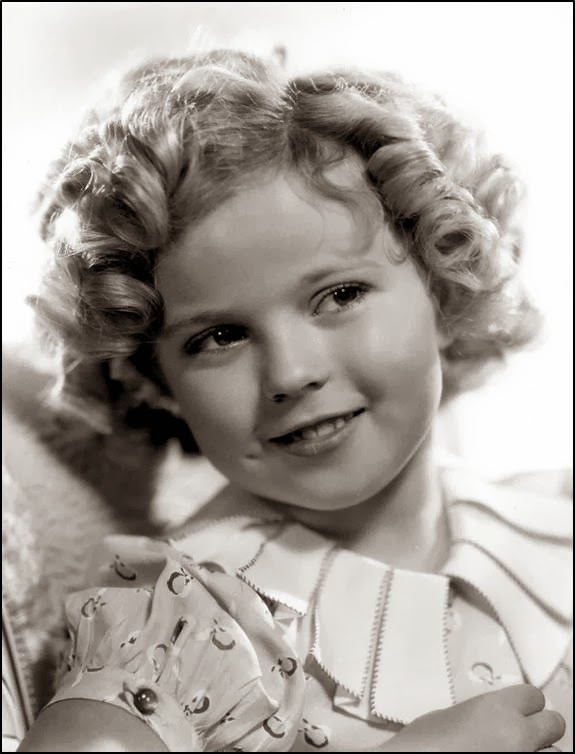 Dolls, storybooks, and TV repeats of her movies have ensured that Shirley Temple will always be an American icon. She relates a story of how her mailman, "a darling old man about 70, said to me, 'Mrs. Black, does Shirley Temple live here?' And I said, 'Why yes, I used to be Shirley Temple.' 'Oh, my!' he cackled. 'You used to be my favorite movie star - when I was a little boy!'" In a day when most child stars seem to wind up on the police blotter as often as in the movies, when many others fade into obscurity or struggle with a lifetime of psychological problems, Shirley Temple stood apart. She was a movie star, mother, patriot, diplomat - and she did it with panache. She was an individual who could remind the hardest politician that he was now in the presence of a real star, and her name alone brought back a wash of memories to generations who'd grown up with her and had passed her down to their children. Shirley Temple was an American icon. She may have died today, at the age of 85, and she will be missed, but she'll not be forgotten.